Pink Poppy Photography is all about sharing love, peace and happiness through free creative commons licensed imagery. 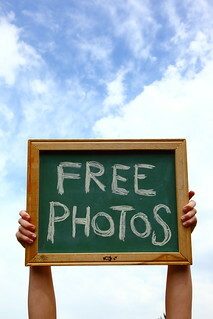 Please help by spreading the word about my free images, available to everyone! My name is Poppy Thomas-Hill (pen name). I am a professional stock photographer and artist. All of my my creative commons licensed images are available for free. My images can be used on websites, in magazines, book covers, class projects, powerpoint presentations, publications, media, news, editorial use, product packaging, print, and more. Please be kind when using my images. If you think the useage may be questionable, you're probably right. If it wouldn't make your grandmother happy, don't do it. Karma always comes back around, good and bad. Please respect my work. In exchange for the free use of my images, I require photo copyright credits be given to me as "Poppy Thomas-Hill". A link back to my Flickr photos is always appreciated, but not required.